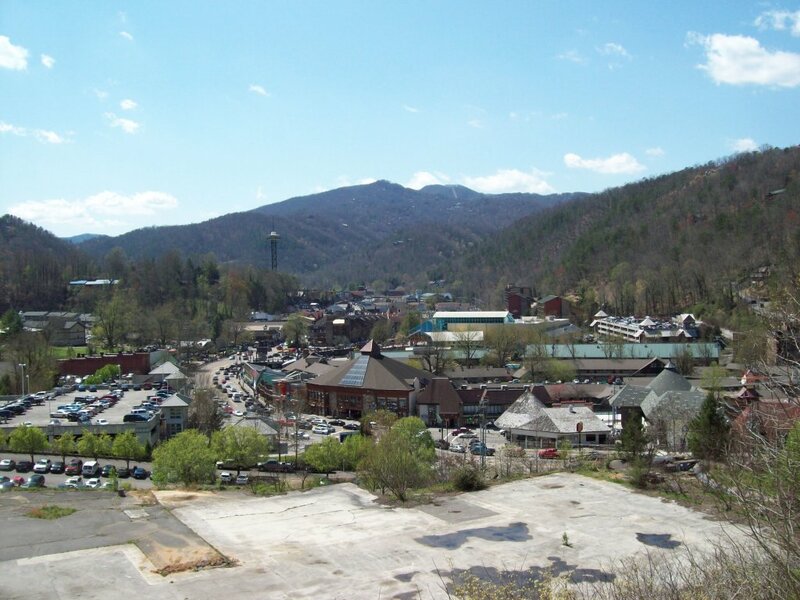 The Gatlinburg Chateau is located just a little over a block from the main street of Gatlinburg. We have free wireless internet. 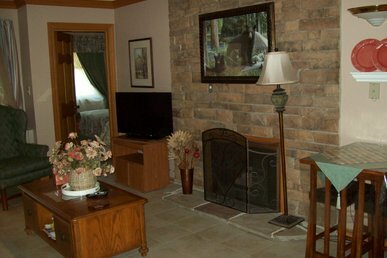 There is an outdoor seasonal pool and hot tub for your enjoyment and relaxation after a day of visiting the area. 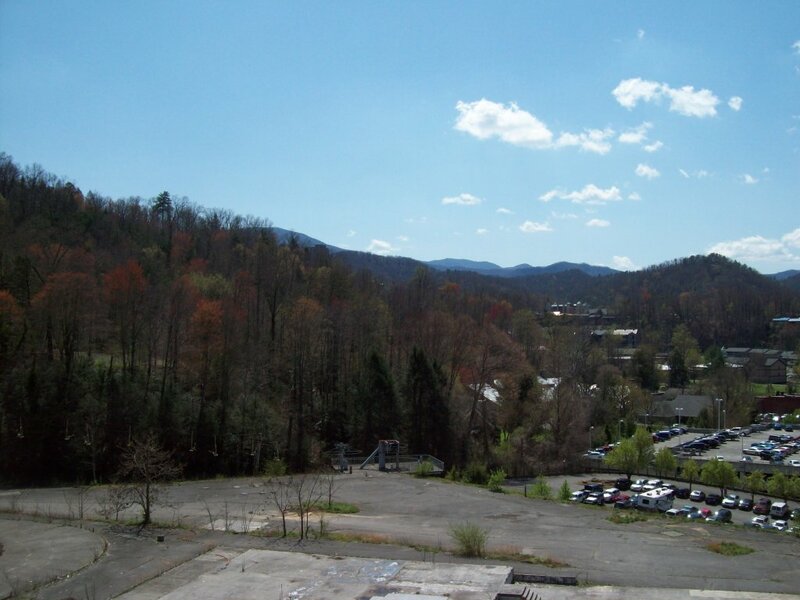 Our location is convenient walking distance to Ripley’s Aquarium of the Smokies. 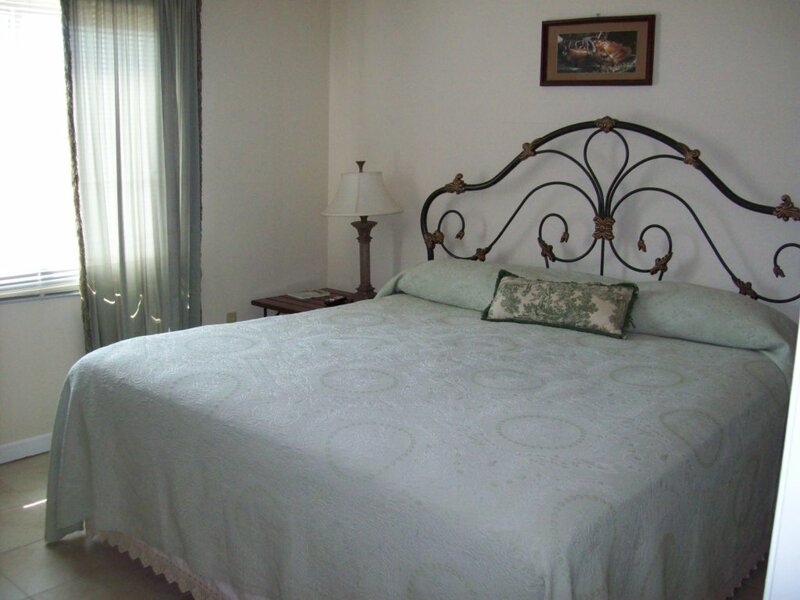 This unit is a two bedroom with a king bed in one bedroom and a queen bed in the next bedroom. 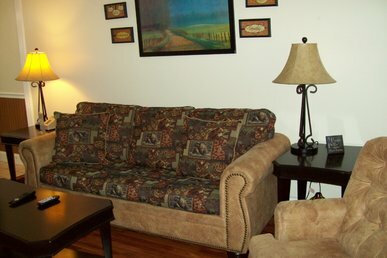 It also has a queen size sofa bed in the living room. 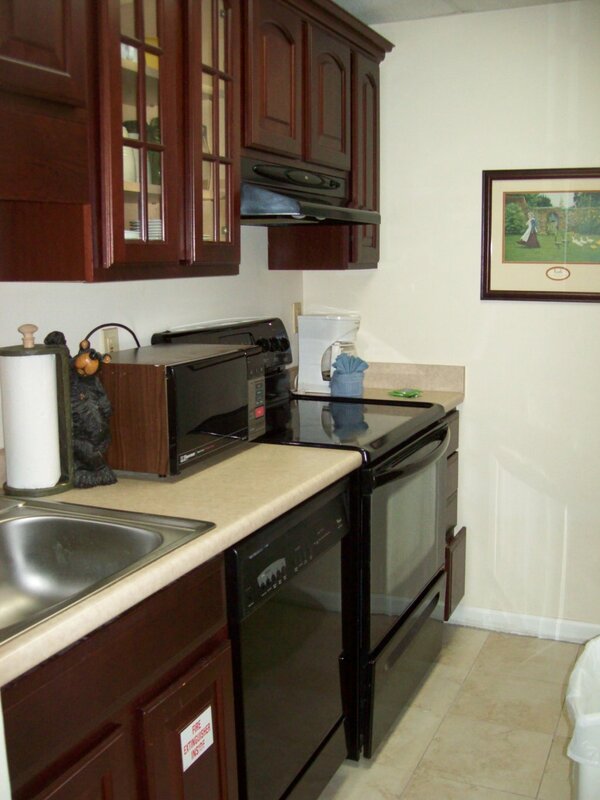 The kitchenette consists of a full size refrigerator, microwave, Coffee Maker, stove, and oven. 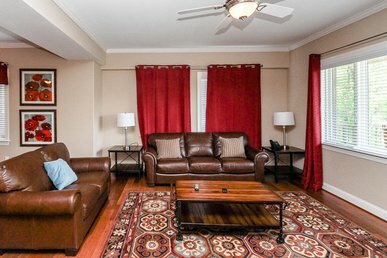 Great location to Downtown - room is dated - parking near condo entrance on hill is tight and challenging - not necessarily handicap accessible - office personnel was very pleasant. I realize I should have asked prior to arrival as a room on a lower floor near parking area was not available at the time. Again, the location is great and we made it all work. The unit is spacious and has a great view. The beds are not terribly comfortable. Several times when we needed towels, no one was in the office, or they were out of towels/washcloths. Not happy second time around!!! 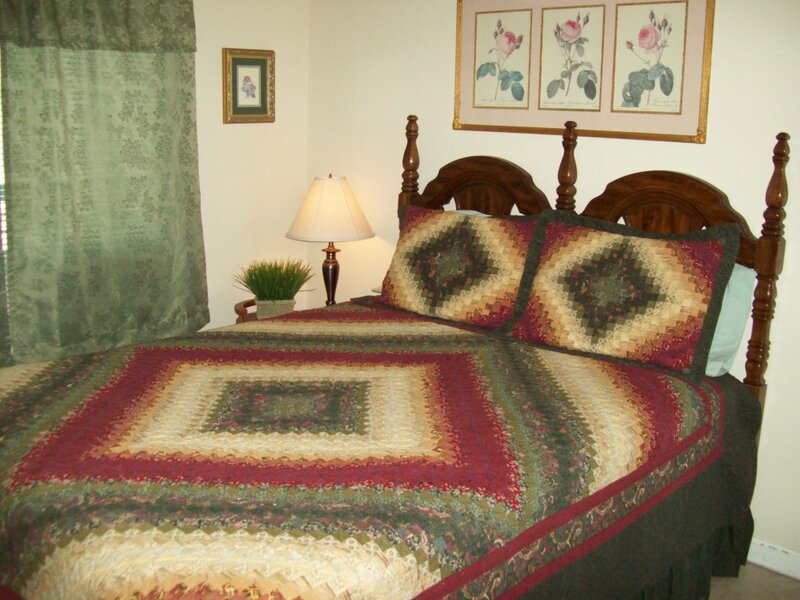 The rental was nice and the property was clean, we enjoyed our stay and would stay there again. Parking could be better but we was able to park in in front of our rental every day. 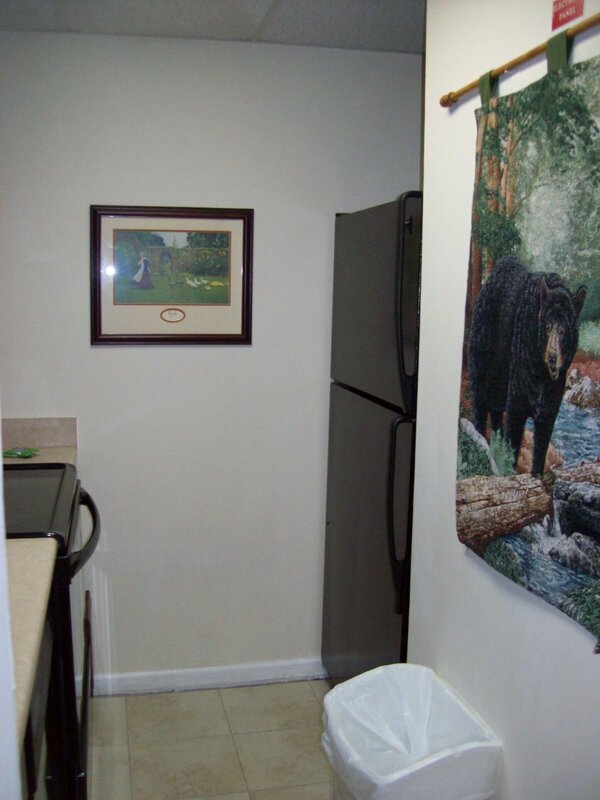 The property itself was well maintained and clean. However, our Unit #402 hasnâ€™t been updated since it was built I think. Closet door fell off hinges and hit my wife on the forehead causing a minor laceration. Had about 9 chairs scattered around balcony which left no room for people. And the chairs were a mismatch of indoor dining chairs. 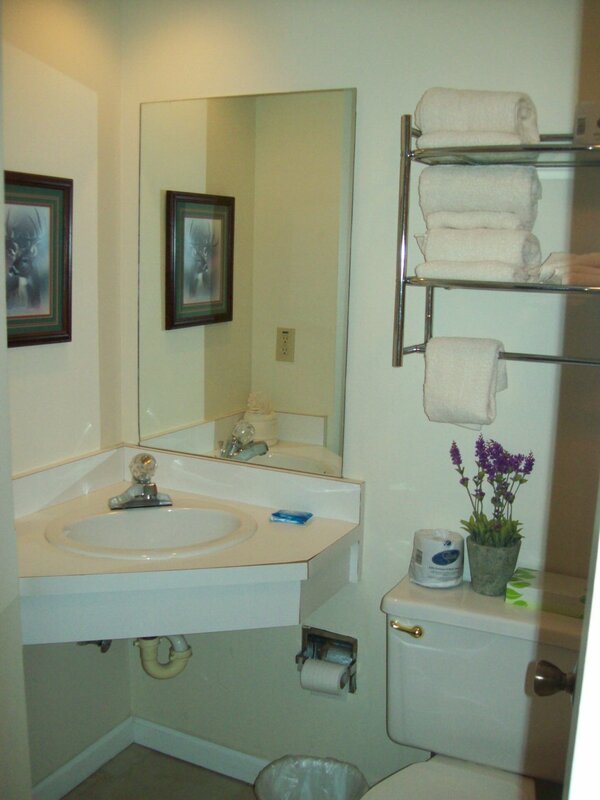 Towels were grungy off white color donâ€™t think they had ever replaced. And the best or WORST for last. This unit had two beds and not were completely atrocious! The master bed had NO support at all. I sat on the edge of the bed and it compressed all the way to the floor. Couldnâ€™t sleep at all!!! My wife and I both will need months of back therapy just to recover. It was without a doubt the room from ****!!! I wouldnâ€™t even recommend this room to my worst enemy. The main purpose of this trip was to see the Gatlinburg Christmas Parade. 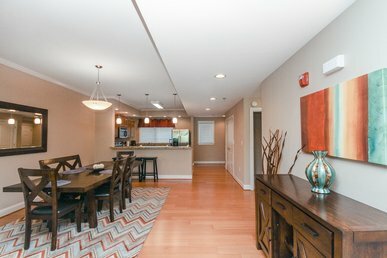 The location of this condo was PERFECT. We didnâ€™t even have to leave the site- just walked out on the terrace and watched it. 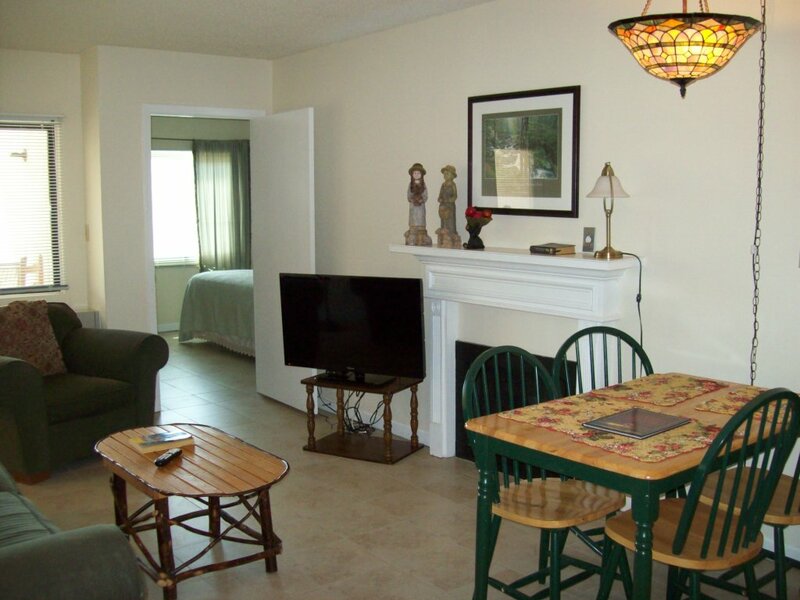 The location is within walking distance of the strip. 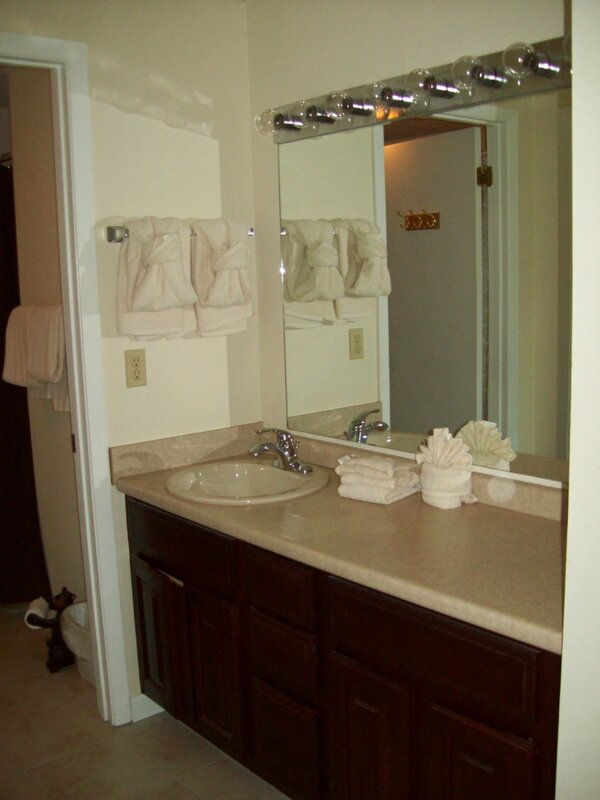 We were very pleased with the cleaniness and friendliness of the management staff. The location of the property was ideal but there is limited parking. The office personnel was ok but they could not help us with a broken iron. They said that it was the responsibility of the owner of the condo, so we had to buy a iron. It was hard to find someone to replace the towels after the second day. The rooms were nice as far as space but were not really clean. There were broken items in our closet that should have been removed before we checked in and there were old bed parts under our beds. As I stated earlier, the location was good. You could walk from the room into downtown Gatlinburg, which was great because driving takes time due to the volume of people. I would recommend to a friend but I would warn them about the parking, items in the room(ie iron and I forgot that the toaster did not work either) just so they would know that if any thing did not work, the office could not do anything about it. Our accommodations were sufficient for the time of our stay. Would have liked a few more kitchen supplies. Beds were lacking. Needs some TLC. 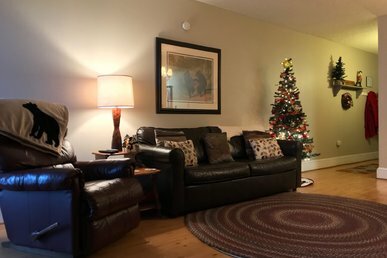 This condo was perfect for the five of us. The condo had plenty of room. We loved the balcony. 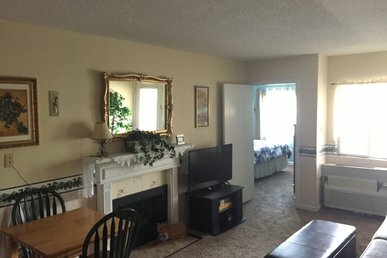 Two rooms with their own full bathrooms is perfect. One of our favorite parts was the rocking chairs in the elevator entrance to relax and enjoy the views. We arrived later in the day and they had us set up for the room even though the office was closed. 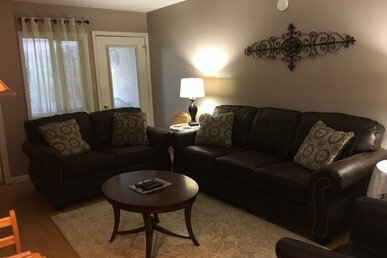 This property was clean, the staff was friendly. The trolley stop is right there. My only advise is the bedroom with the king bed gets warm, when you figure out to place the fan in the doorway it pulls the air condition into the room, no problems then. The kitchen was well stocked for your cooking and eating needs. The descriptions of the room was spot on. Buy the daily trolley pass to save a little money.